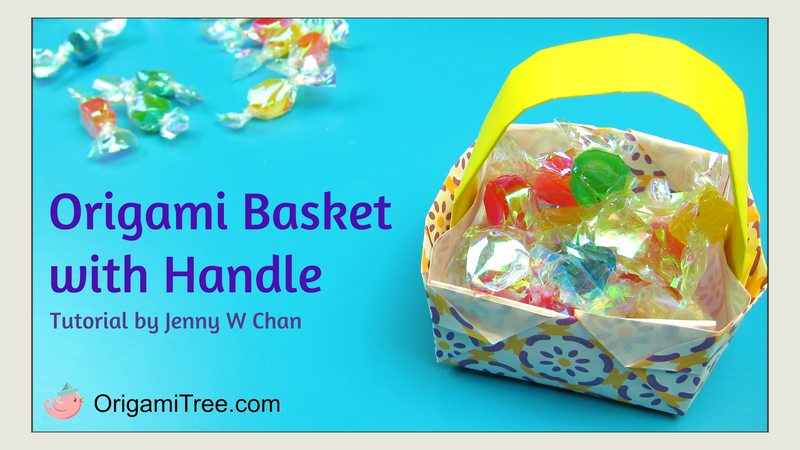 In this video, I’ll show you how to make a traditional Origami Basket with a Handle! 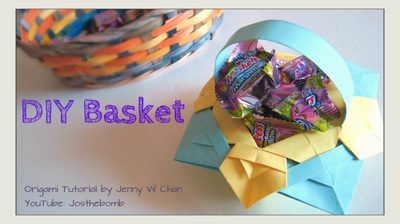 Customize the Origami Basket even more by adding stickers, writing names, and just be-dazzling it! This is a fun, easy paper craft for kids. It also holds a fair amount of candy (I used six-inch squares, but you can feel free to use smaller or larger squares, too – whatever you’re comfortable working with). Have fun and HAPPY EASTER! 🙂 Don’t forget to SUBSCRIBE on YouTube and SHARE with your friends, please! That would be wonderful! Looking for another basket? How about this one? TUTORIAL HERE. LIVE 2017 Hangout & Mini Michaels Haul!